Selecting the right type of light will make every room more appealing as the lighting is what really makes your furniture and room stand out. The style is reflected in the different types of, materials, colors and textures. Most of the lights we offer have a traditional and casual look. While if you are looking for a stand out piece, some of our sleek contemporary designs or Tiffany inspired stained glass pendants may be what you're looking for. 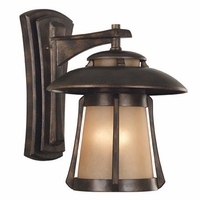 We are currently selling all kinds of lighting systems, lamps, wall sconce lights, chandeliers, lighting fixtures, vanity lightings, and even outdoor lantern lighting and wall lights. 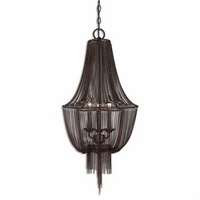 Traditional ornamental chandeliers are excellent additions to grand entry ways or above a dining table. While some of our other light pendants, flush mount lights, and wall sconce lights are great for all other areas of the house. 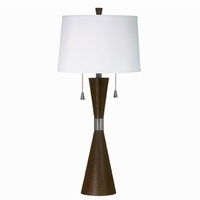 Every room should combine a ceiling light with a few table lamps or floor lamps to create depth within the lighting by having bright spots, ambient glows and soft shadows. You will enjoy the aesthetic appeal of our well designed and nicely finished product. If you would like assistance choosing the right lighting for your home we are always available to help you make this decision.